618 Union, Emporia, Kansas. Kelly from Old House Dreams did a post on the house. I have been trying to buy 618 for 2-1/2-years. It is just north of the Cross House, and is by the same architect, Charles Squires. Squires lived right behind 618. In 2014, I offered the owner $20K. He countered with $30K. Which I didn’t have. In 2015 I offered $10K (all I had). He didn’t respond. During these years I have also shown the house to about a dozen people with the hope that THEY would buy it. Please. Please!!!!!!!! Young Brian was the only one who seemed to want the house. And he wanted it bad. I liked this about him! Brian, and a neighbor, Eric, and myself have been very protective of the abandoned house. We managed to get a squatter out. We got the house locked up. We put patches over roof holes. The owner, who has dozens of properties in Emporia, had seemingly walked away from all of them, and moved to Texas. Today though, today, a county tax sale was scheduled. And his properties were on the list. Including…618. With an opening bid of $350. Yep, $350. Brian and I were agog and giddy. 1214 Exchange. For a small house, it abounds with mansion-like details. But 1214 Exchange sold for $18K. Brian and Bailey had $1500 to spend. While this doesn’t sound like much, we watched, agog again, while houses sold for less than $500! So, Brian and Bailey then offered me their $1500 to add to my $2500 (all I could swing right now). Then Eric came over, and said that his wife, Lesley, wanted to loan me $1,000! This meant I could do $5,000!!!!!!!! I then told Brian and Bailey that I did NOT want the house. My only interest was to protect it from being purchased by a slumlord. So, if they really wanted it, I would bid, but sign it over to them after they repaid Eric, Lesley, and me. Finally, after 90 tortuous minutes, 618 was on the block. Silence. My heart started racing. I have no doubt that at this point my heart could be visibly observed pounding my chest in/out in/out in/out. I WAS NOW FREAKING OUT! Was I really going to buy this fabulous house, one I had lusted after for over two years, for $350???????? The auctioneer turned to me. Many other eyes also turned in my direction. The auctioneer turned to The Dastardly Other. And the house sold for $5500. $500 more than my top bid. And my great desire all these years was dashed, crushed, and spit on: to protect the house. I feel powerfully sad and depressed tonight. For, will this historic and important and potentially beautiful house be carefully restored? Or, more likely, will it be treated like a mobile home? 23 Responses to An Unexpected Outcome. I really do feel your pain of disappointment…sorry it didn’t work out. It still isn’t over, until the title is transferred. Things can happen between now and then. If the high bidder keeps it, I hope they do right by the house. An old house behind me sold at auction for less than the assessed price of the land. The winner had tried before to buy the property. He and his father have cleared the overgrown lot and the son is reconstructing the house. Here’s hoping and praying for the best outcome for the house. 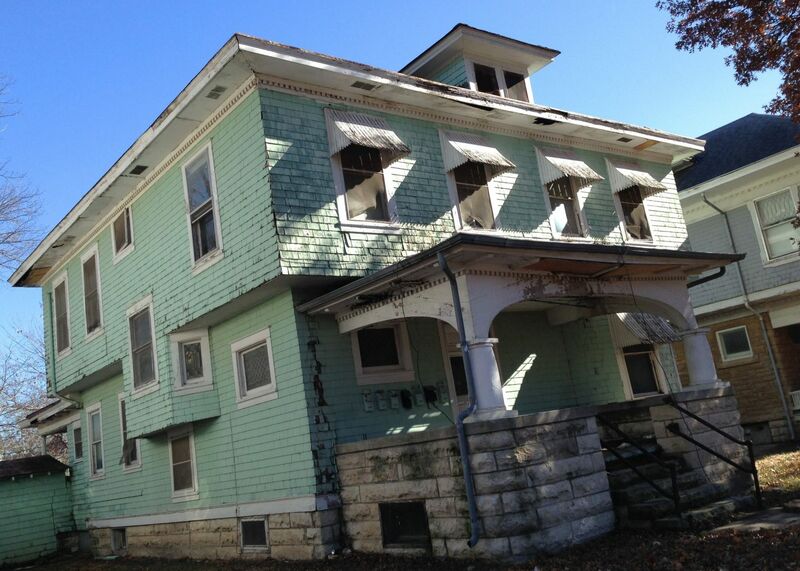 Oh my God, you can buy a beautiful old house to lovingly restore for $5,500?! I live in Portland, Oregon where I live in a boring, mid-century modern, in an OK neighborhood, that I was lucky to get at $210,000. Tiny at 1,234 feet on .14 acres. 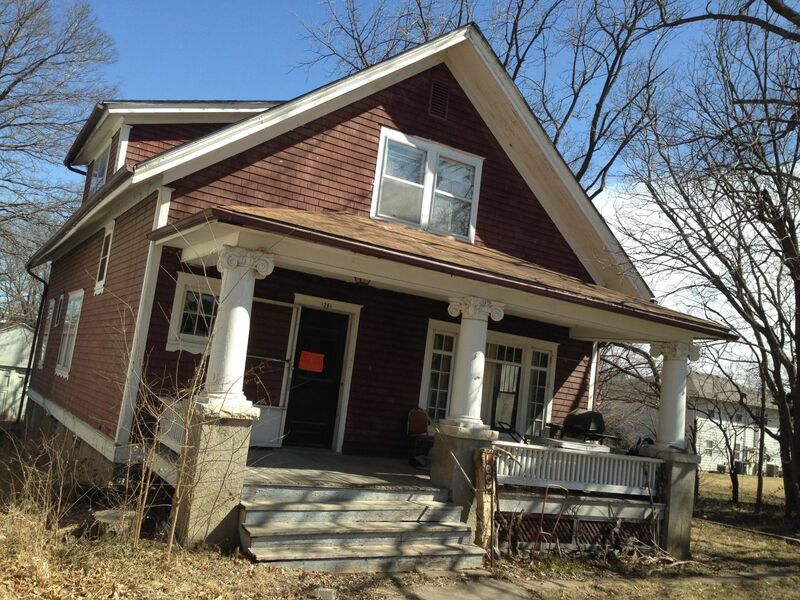 I bought my first Craftsman bungalow in Waterloo, Iowa for $28,500 – but that was in 1989. Anyway, I hate it when stuff like this happens! What a nightmare. We call them Zombie Houses here; abandoned, neglected, squatter pads that sadly, often become meth houses that go up in flames. But many are just beautiful places waiting to be a home again, yet are falling into terrible disrepair. I admire your work and dedication to reviving them. I’m sorry that particular dream didn’t pan out for all of you and for the house’s fate especially. Your story makes my soul sad. If I had been there, I would have given you the 500 to save her. Thanks, Ken! But had I bid another $500, the Dastardly Other would have bid higher, forcing me higher, so he could go higher, and so on. He REALLY wanted the house, and was bidding furiously. When I later found out who he was, I realized he had resources way higher than mine. Do I count SEVEN mailboxes?? There are seven units in this place? Ugh. Are you certain the buyer will not fix it up? The world needs more people like you Ross. The fact that you actively were trying to save a house while balancing the massive restoration job that is the Cross house is quite rare. Seeing past all the negatives and only focusing on the house’s positive aspects is a mindset few potential buyers have. For most of my life I’ve seen magnificent houses demolished to make way for massive (and damn ugly) apartment complexes and condos. In only 7 years I’ve seen a significant change in the city I live in and it’s been absolutely unbelievable to me (looking back at historic photos further adds to my understanding of this massive change, oh how I wish I had been alive to see such fantastic structures, especially considering I’m only 16). The number of buildings ruthlessly torn down is staggering in such a short period of time. I wish there were more people out there like you looking to restore homes instead of demolish them, it’s extremely disappointing to see amazing buildings brutally destroyed. You have an amazing outlook for somebody so young. Seattle, a city known for always having an attitude of progress and modernization. Few people really appreciate historic homes out here. What eventually happened to these houses??? The green house was reroofed, thank God, but is otherwise untouched. The red house is significantly improved. No nihilistic destruction such as some of the other OHD nightmares???????????? Now you have me looking at great, old houses and dreaming. However, I cannot move to Kansas. So here’s one you may wish to grab and perform your magic on. It has been six months, is there any good news? Yes, it reminds me a great deal of a house that was a block north of us. Ours became a vacant lot recently, and I was hoping that yours fared better. You showed me this a couple years ago. Has anything been done to it? Any updated photo? Yes, it sold at auction and is in much better shape.